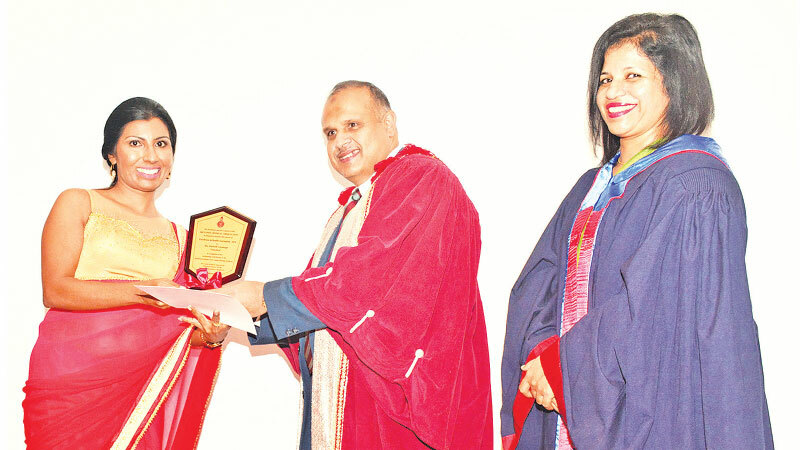 Harindi Liyanage, Editor of Navaliya received the Excellence in Health Journalism – 2018 award recently in recognition for her outstanding contribution to health journalism in Sri Lanka (Sinhala Medium). Above picture shows Dr. Ruvaiz Haniffa, President of the Sri Lanka Medical Association (SLMA) presenting the Excellence in Health Journalism – 2018 award to Harindi Liyanage at last week’s ceremony. Looking on is SLMA Secretary, Dr. Hasini Bannehaka.